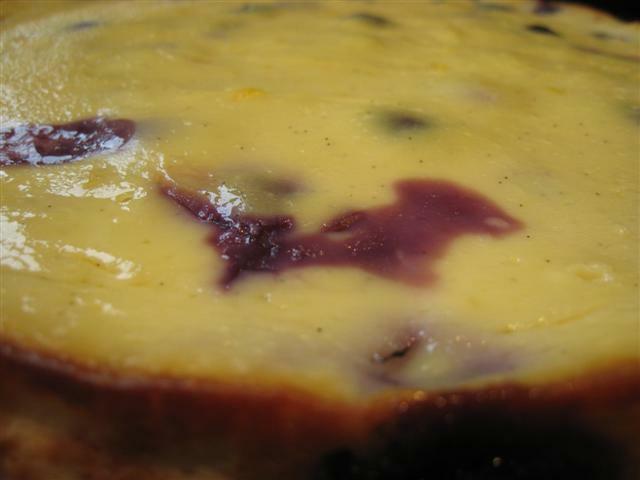 Jubilee Baked Blueberry Cheesecake (Gluten Free) | Anyone For Seconds? 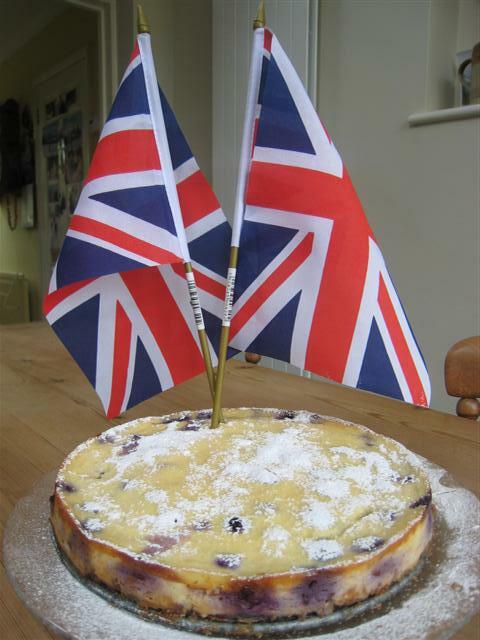 I’m not sure the exact relevance that a baked cheesecake has to the Jubilee but we were making this at the weekend for everyone to enjoy during the bank holiday celebrations. 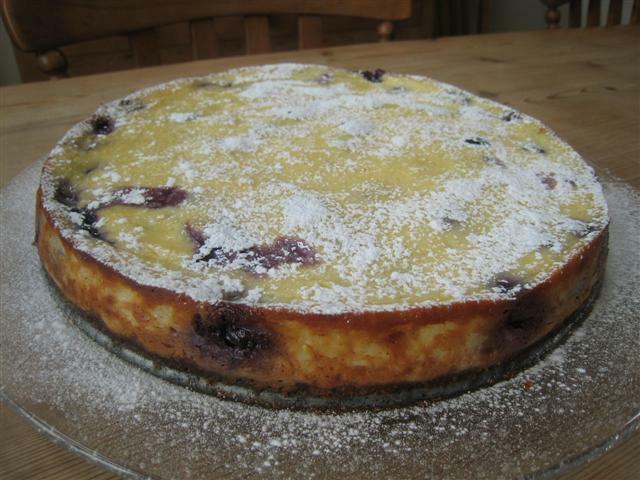 This is the best baked cheesecake recipe I have tried to date and I know everyone who tries it will love it too! 1. 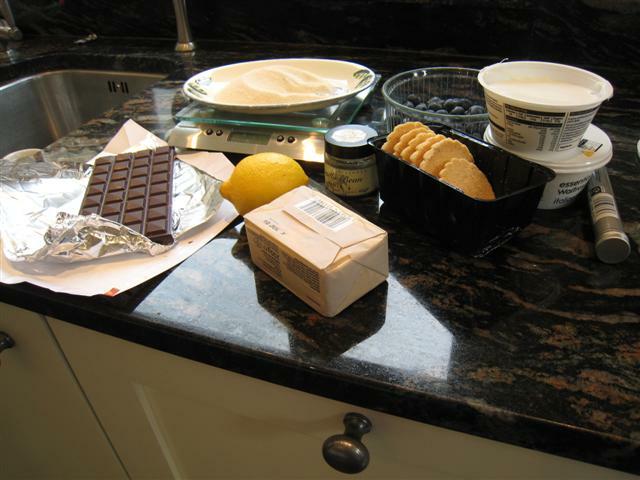 Make the base: butter a loose-bottomed 8in round cake tin. 2. Crush the biscuits until fine (use a rolling pin). 3. Melt the butter and chocolate in a small bowl over a pan of hot water. 4. 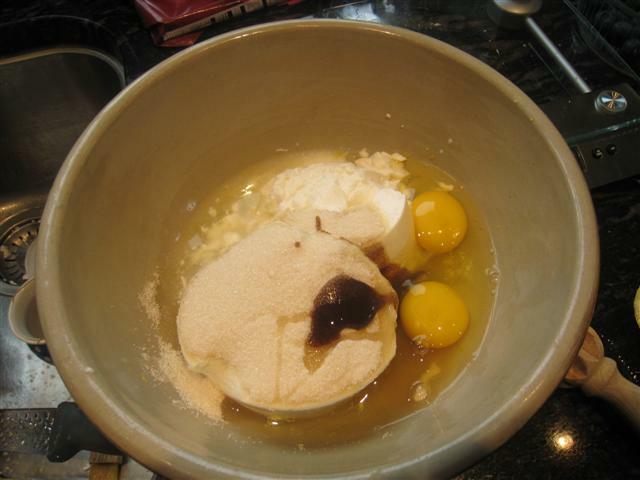 Stir into the biscuit mixture, then spread over the base of the tin and chill. 5. Pre-heat the oven to 180C/350F/Gas 4. 6. 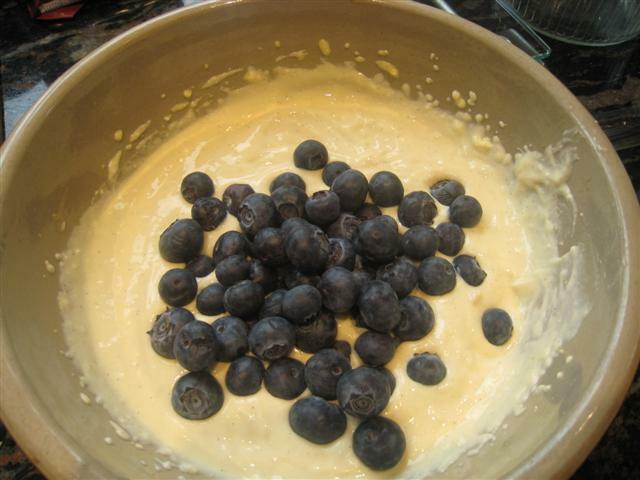 Put the cheese into a bowl and add the lemon rind and juice, eggs, sugar and vanilla seeds; beat to a smooth batter. 7. 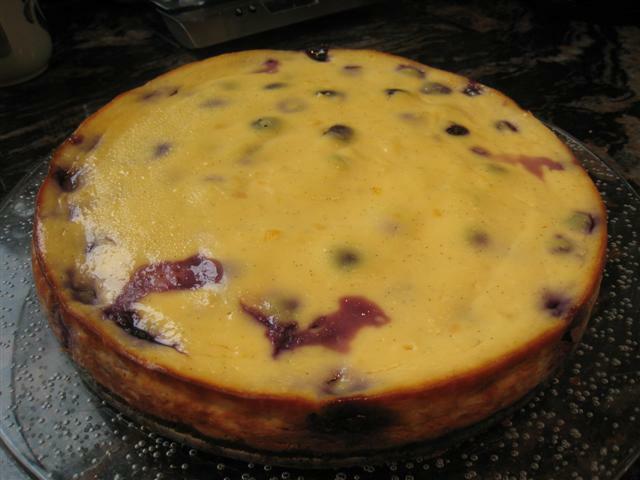 Toss blueberries in flour, then fold into the batter. 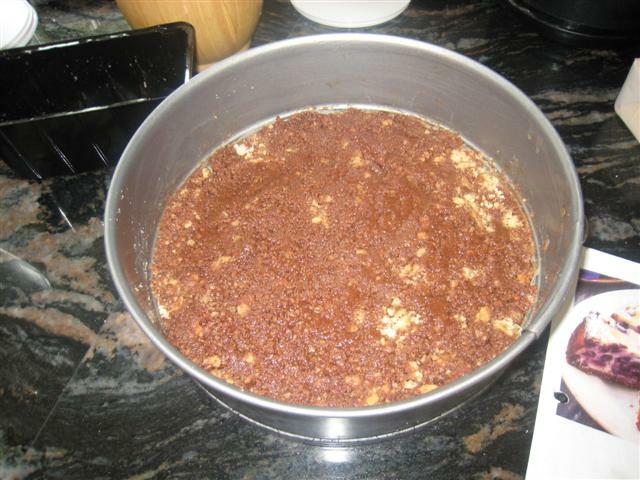 Pour over the base and bake for 35 minutes or until just set. Turn off oven, leave door ajar and leave to cool. 8. Chill for a few hours or overnight. Amaretti biscuits (gluten free) can be used instead of digestives. 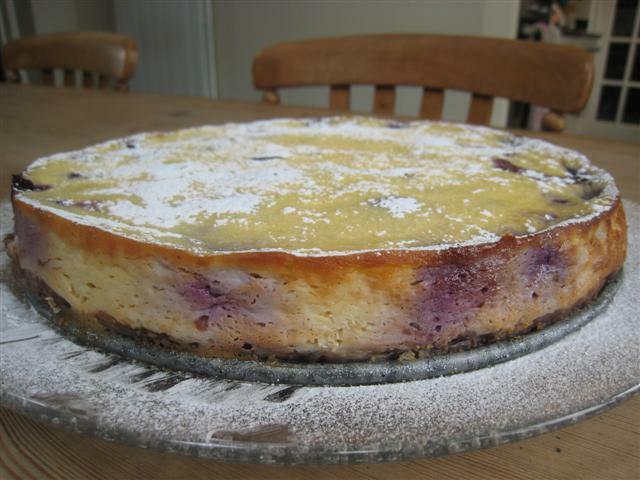 This can also be made with Strawberries, Raspberries, Blackberries, Blackcurrants and Cherries (stoned). On the To Do list ! 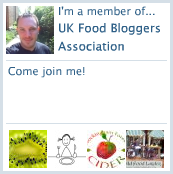 I will blame you entirely for my lardy arse.